The government team "did a wonderful job of implementing regulations.gov, then they needed more feet on the ground," said Diana O'Hara, Lockheed Martin's program manager for the e-rulemaking initiative. "This is an initiative I've never seen before in federal government, one where you have no group saying no to it." ? Darrell Grady, Lockheed Martin Corp.
Oscar Morales likes to compare the early days of the federal e-rulemaking initiative to early use of online tax filing. The IRS' offering was slow to gain acceptance; now it is a time-saving tool used by millions of people and businesses. "Not many folks participated in the first couple of years [of online tax filing], so I'm not really surprised to see our numbers are low. Use will increase over time," said Morales, director of the e-rulemaking initiative. The initiative ( http://www.regulations.gov ) is one of 25 e-government projects launched by the Office of Management and Budget beginning in October 2001. Regulations.gov, a Web site where the public can read proposed federal regulations and comment on them, was designed to accept 16,000 comments an hour. But the site received only 275 public comments on proposed rules between January and November 2003, according to the General Accounting Office. The lackluster response has prompted criticism from GAO and others that claim agencies aren't doing enough to promote regulations.gov as an avenue for public comment. "The word is not getting out, and people just don't know what's available. The secret is being held even from some in the agencies," Sally Katzen said at a recent e-rulemaking conference at American University in Washington. Katzen is a former director of the Office of Information and Regulatory Affairs at OMB. In a study of 411 proposed rules published in the Federal Register between Feb. 1 and April 30, 2003, GAO found only two rules mentioned that regulations.gov could be used to file comments. At the conference, Curtis Copeland, a former GAO official who now works for the Congressional Research Service, said agencies often do not mention regulations.gov in their proposed rules. But Copeland also said the EPA "is doing much better" with regulations.gov. As of January 2003, all proposed rules published in the Federal Register must also be posted on regulations.gov. Boilerplate language has been distributed to all agencies to ensure that readers are referred to regulations.gov. An online site for agency collaboration about electronic rulemaking was created, and citizens, academics, regulatory consultants and industry representatives will be educated about regulations.gov, Morales said. He works for the Environmental Protection Agency, which is leading the project. "We are going to publicize this as much as we can. One of the ways is to get more buy-in from trade groups," Morales said. "Another thing might be going on C-SPAN. I can't buy advertising time on TV, but there are things we can do to get the word out." The project can move forward, adding capabilities, because of a recent decision about its architecture, Morales said. By January 2005, selected agencies will begin using a fully functional e-rulemaking system, he said. The system will include full-text search of proposed rules and a listserv. Agencies will be able to securely create and manage regulatory and nonregulatory dockets, publish supporting documentation with their proposed rules, manage documents electronically, and securely connect with the Federal Register, Government Printing Office, National Archives and Records Administration and OMB, Morales said. The prime contractor on the job, Lockheed Martin Corp., and the government's e-rulemaking team recently agreed that the architecture will be either centralized or tiered. The difference is slight, and the costs are similar, Morales said. With a centralized architecture, the services and technology for regulations.gov will be located in one place. With a tiered architecture, there could be servers in several cities controlled from one location. The e-rulemaking team rejected a distributed architecture, in which some agencies would keep their e-rulemaking systems and link them to the government-wide system while other agencies would use only the governmentwide system, Morales said. Currently, regulations.gov has limited capabilities. The site, which launched in January 2003, does not allow the public to read comments filed on a rule, and it only displays rules that are open for comment. Once the comment period closes, the listing disappears from regulations.gov. Furthermore, agencies are not yet required to use regulations.gov. Some agencies cannot accept electronic comments yet; others still want to use their own electronic rulemaking systems. Eventually, agencies will be required to give up their rulemaking systems for regulations.gov, but that won't be until regulations.gov is fully functional and can meet the needs of each agency, Morales said. Like the other 24 cross-agency e-government initiatives, the e-rulemaking project began with several agencies contributing money and personnel to the effort. The EPA spearheaded the effort with a small, dedicated staff. The project is modeled after the EPA's electronic docket system. Agencies participating in the e-rulemaking initiative include the departments of Agriculture, Defense, Health and Human Services, Housing and Urban Development, Justice, Labor and Transportation, as well as the Federal Communications Commission, General Services Administration, Government Printing Office and the National Archives and Records Administration, according to EPA officials. 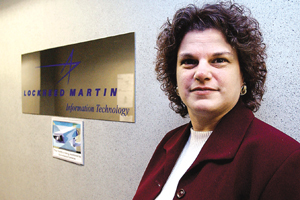 In October 2003, a contractor team led by Bethesda, Md., Lockheed Martin was brought on to further develop the government's e-rulemaking capabilities. The government team "did a wonderful job of implementing regulations.gov; then they needed more feet on the ground," said Diana O'Hara, Lockheed Martin's program manager for the e-rulemaking initiative. [IMGCAP(2)]Lockheed Martin is working under a seven-year contract that has been funded for five years at $98 million, said Darrell Grady, vice president of applications development and maintenance solutions for Lockheed Martin Information Technology. Lockheed Martin will develop a centralized, federal docket management system that provides an easy and consistent way for the public to search, view and comment on proposed federal rules; and gives agencies an integrated, cost-effective regulatory management system, according to the company. Its subcontractors include BearingPoint Inc. of McLean, Va., Solutron Inc. of Rockville, Md., Vistronix Inc. of McLean, Va., and Xaware Inc. of Colorado Springs, Colo.
Lockheed Martin's tasks under the contract include business process re-engineering, outreach and communication, systems architecture development, systems integration and configuration of hardware and off-the-shelf software applications, application development, system training, data migration and maintenance, O'Hara said. "This is an initiative I've never seen before in federal government, one where you have no group saying no to it," Grady said. "It touches so much of the government and provides such a communications vehicle. Oscar coins it as e-democracy, and it really is." As the e-rulemaking initiative is being built out, Morales said he is looking for small victories along the way.